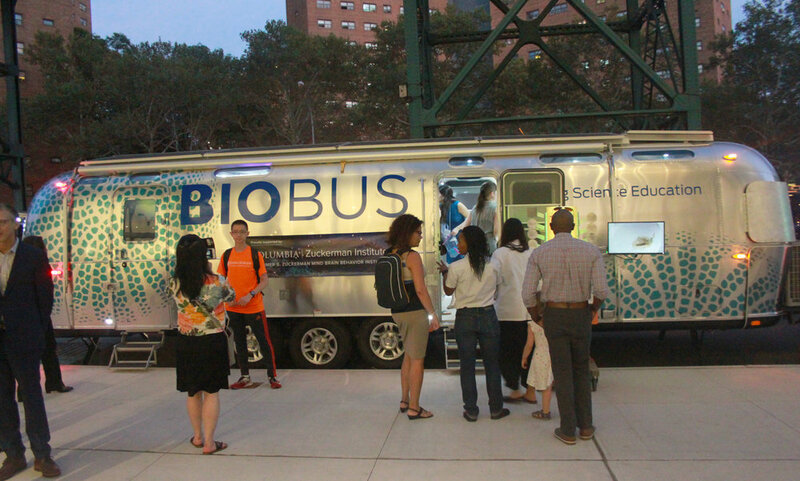 The BioBus team innovated a game changing, experience based and highly mobile approach to teaching science and motivating a pursuit of scientific careers in the New York City School System, especially in underserved communities. They needed to fully design a new visual identity system and the mobile science lab at the core of their mission. Seeking to create a mobile lab prototype to support their new model for STEM education, BioBus asked Tessellate to plan and design their innovative community laboratory outfitted in an Airstream trailer to serve as the next generation of BioBus’s growing fleet in New York City . BioBus is the first of it's kind hands-on mobile laboratory equipped with high tech science equipment, microscopes, and expert scientist ready to share their passion for biology. This open-ended, exploratory environment required Tessellate’s design team to consider the entire experience, from first impression throughout the students’ visit. Their centers also required the flexibility to adapt to accommodate group learning or the flow of visitors at a public event. We developed a tightly integrated physical, technical and experiential design from the inside out. Tessellate developed the new visual identity, including the logo, pattern design, and environmental graphics that are expressed throughout the surfaces and physical elements of the lab. Through a close collaboration with the client we established a clear sense of the envisioned uses, flexibility and impact. With those goals, we developed several solutions and together we selected the optimal design choices to give the portable lab a clear purpose, visual identity and practical efficacy. We developed a visual identity that could translate into the physical environment to create an exciting, cohesive and sophisticated experiential place. Our completed design consists of an Airstream trailer wrapped in exciting visuals with the ability to add an exterior digital screen for public events. The interior plans create smooth flow between two principal areas. The hands-on area offers technology and hardware for discovery with the flexibility of changing out demonstrations and equipment for different learning experiences. The discussion area provides a forum for introducing the lesson and discussing the experiential exhibits. We planned the physical environment, maximizing human traffic for the richest connection with the content. Our physical plans included a solution for adding hardware necessities like fold down worktables that provided flexibility in the compact space, while avoiding clutter. In addition to the physical design, we made curricular recommendations to include hands on activities, discussion, and extend the impact of the experience with pre-visit and post-visit activities. Through a deep knowledge of architecture, behavior, technology and design, our completed project realizes an unconventional thinkers’ vision to create ground shifting change with real life impact for the visitors to BioBus.